Paige Myrick joined Southeastern Commercial Finance, LLC in February of 2018 as Director of Finance. Paige manages the accounting functions as well as office administration. 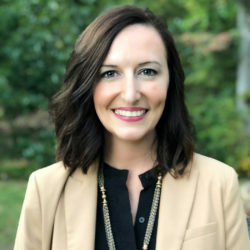 Ms. Myrick is a Northeast Alabama native and graduated from the University of Alabama with a Bachelor of Science degree in Business Administration, as well as the University of Alabama Birmingham with a Bachelor of Science degree in Accounting with an equivalent to a Masters in Accounting. Ms. Myrick has been an active and practicing Certified Public Accountant since 2008. After graduation, she worked at Barfield, Murphy, Shank, & Smith, PC for several years before entering into industry accounting. She was a financial analyst at Brookwood Baptist Health (formally Baptist Health Systems) before becoming the Finance Director for the City of Pell City, where she currently resides. Ms. Myrick has had experience working with numerous types of industries over the course of her career. Paige’s interests out of the workplace include spending time with her husband and daughter, attending church, and boating on Logan Martin Lake.